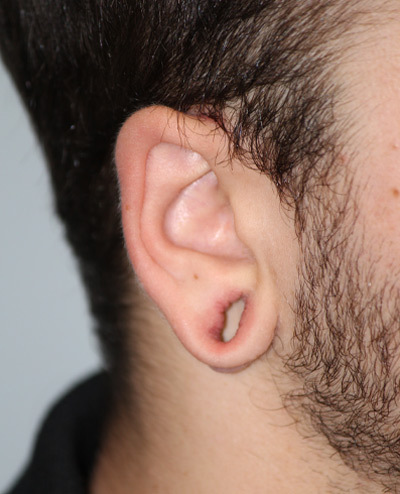 If your earlobes have been damaged by the long-term wearing of heavy earrings or a personal injury, you may be a candidate for EARLOBE REPAIR. This procedure can reduce the size of earlobes that have been stretched, damaged, torn or split. Enlarged holes from intentional stretching or gauging the ears for fashion. This procedure is requested by both men and women who seek to correct these and other injuries to the ear lobes. Schedule a consultation today to discuss which options are appropriate for you. This procedure is performed by our board-certified surgeon under local anesthesia.